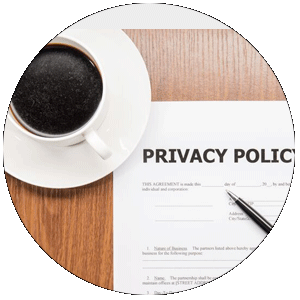 Privacy of our clientele is very important to us at IRG Property Group™. So you can feel confident of not receiving unwanted contact from our company. Please view our practices below. The information we collect is used purely to fulfil the request from you, our client for our services or products. We DO NOT pass this information on to any third party, nor offer this information for sale or rent to any other company or organisation. Any email correspondence will be replied to using the originating email. Any information we provide for advertising purposes or statistics will be wholly non identifying and used solely for the benefit or improving our site. Lastly, we will not share any personal information provided for anything other than the above mentioned situations. Periodically we will send you information pertinent to your initial enquiry, if you do not wish to receive this information please contact us asking to be removed from our mailing list. So as to avoid any unauthorised use of your personal information, we have in place all appropriate electronic, physical and managerial procedures to safeguard and secure the information collected online. IMPORTANT: Please note the information on this website can be subject to change at any time. The information here is deemed accurate at time of publication but is not guaranteed and may have changed since. We strongly recommend you check all details prior to any transactions or purchase. WARNING: Your current BROWSER appears to NOT support the advanced and modern features, styles or scripts needed for a better website experience across all the various screens and devices. We HIGHLY RECOMMEND you upgrade to the latest browser version. Popular browsers are FireFox, Google Chrome, Apple Safari and Microsoft Edge.